We know how important your very special wedding day is. On your wedding day, you want to have your bespoke wedding cake exactly as you’d always imagined it, perfect in every way. 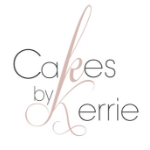 Here at Cakes by Kerrie on the Gold Coast, our passion is creating your perfect wedding cake. 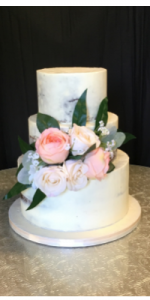 Our very talented and experienced cake designer, cake maker and cake decorator, Kerrie, takes the time to listen to your journey as a couple, the things that are important to you, as well as the theme of your wedding and your wedding cake ideas. 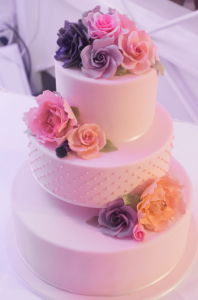 There are many things to consider when choosing a wedding cake, and Kerrie will guide you through the process step by step, from your first consultation and tasting our amazing flavours (with coffee and tea of course), through the cake design and finish, cake decorations and cake toppers, and finally delivery and set up at your venue. 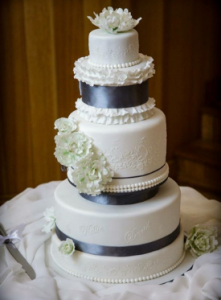 Whether you want a traditional wedding cake, a modern wedding cake, a cool wedding cake, a unique wedding cake, or a simple wedding cake, for a large or small wedding, Kerrie, will help you realise your dream wedding cake.